OLYMPIA – A section of the lower Columbia River will again reopen for two days of recreational spring chinook salmon fishing beginning Saturday, April 20, state fishery managers announced today. The initial spring chinook fishing period from Bonneville Dam downriver to Warrior Rock closed at midnight Wednesday, April 10, then reopened for two days on April 13 and 14 based on catch and run estimates at that time. 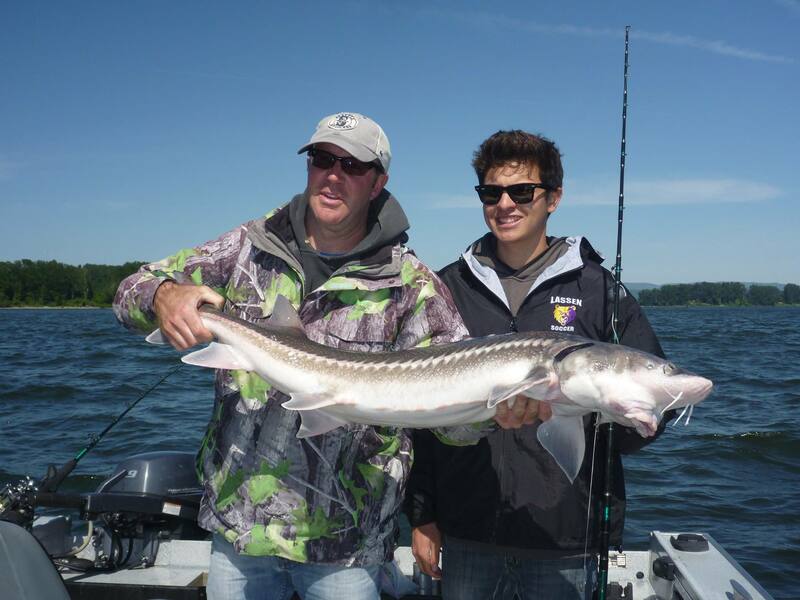 This weekend’s opening comes after fishery managers from Washington and Oregon evaluated additional information collected from the recreational fishery, said Bill Tweit, special assistant with the Washington Department of Fish and Wildlife. Staff will continue to closely monitor the run as it progresses. The fishery will reopen for spring chinook on April 20 and 21 on the Columbia River upstream from the Warrior Rock boundary line to Bonneville Dam. The lower river downstream from Warrior Rock remains closed to fishing for salmon, steelhead, and shad. 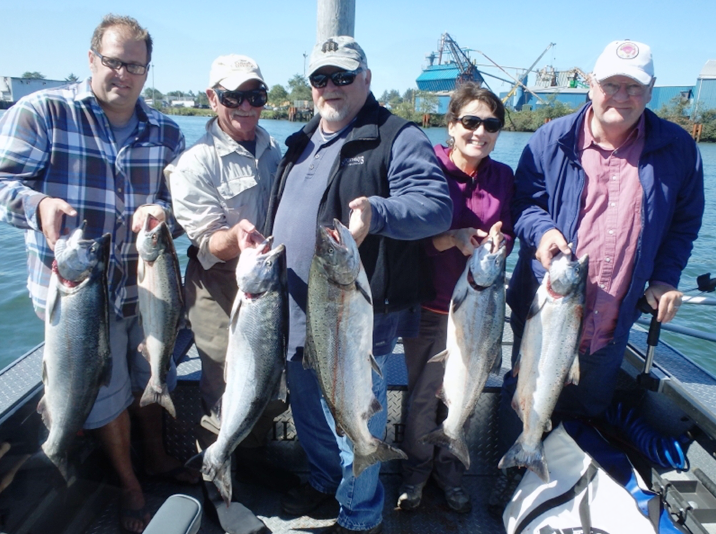 Anglers may retain one adult chinook and one adult steelhead, or two adult steelhead, per day. Only hatchery fish may be retained. Waters above Bonneville Dam to the Oregon/Washington state line above McNary Dam remain open to salmon fishing through May 5. Anglers are reminded that the use of barbless hooks is required when fishing for salmon and steelhead in these areas. 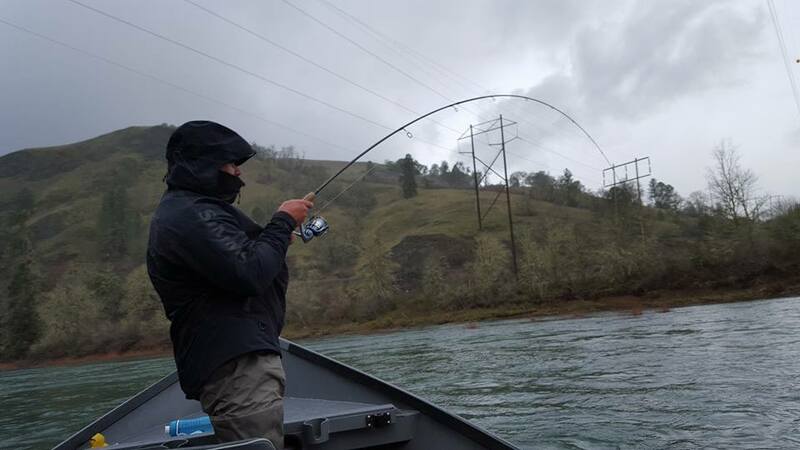 OLYMPIA – A section of the lower Columbia River will reopen for recreational spring chinook fishing for two days beginning Saturday, April 13th, state fishery managers announced. The initial spring chinook fishing period from Bonneville Dam downriver to Warrior Rock ended at midnight Wednesday, April 10. But with less than half of the expected harvest of 3,689 upriver spring chinook salmon reeled in so far, additional opportunity remains available to anglers, and fishery managers from Washington and Oregon agreed to reopen the area to fishing for one more weekend from April 13th-14th. Tweit noted that cold spring temperatures and recent heavy rains may have also contributed to slow fishing in recent weeks. The fishery will reopen for spring chinook over the weekend on the Columbia River upstream from the Warrior Rock boundary line to Bonneville Dam. The lower river downstream from Warrior Rock remains closed to fishing for salmon, steelhead, and shad. Anglers may retain two adult salmon, two steelhead, or one of each per day, but only one salmon may be a chinook. Only hatchery fish may be retained. Waters above Bonneville Dam to the Oregon/Washington state line above McNary Dam remain open to salmon fishing through May 5th. 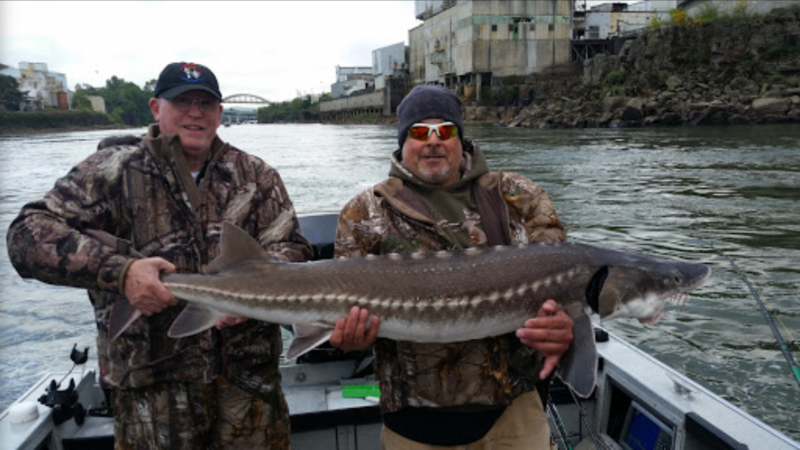 CLACKAMAS, Ore. – The recreational sturgeon season in The Dalles Pool (The Dalles Dam upstream to John Day Dam) will close effective 12:01 a.m. Monday, Jan. 7, under rules, announced today by fishery managers from Oregon and Washington. The states decided to close the sturgeon sports fishery based on catch projections which indicate the 135 fish guideline may be achieved by Friday evening. Catch rates have been high since the season opened Jan. 1, with an estimated 69 fish kept through Jan. 3. Sturgeon fishing remains open in the Bonneville and John Day pools, where the guidelines are 325 and 105 fish, respectively. Retention sturgeon fishing is closed below Bonneville Dam and below Willamette Falls under permanent sport fishing regulations. Except for specific sanctuaries, catch-and-release sturgeon fishing remains open in all of these waters, even when retention seasons are closed. Species affected:Adult chinook salmon and sockeye. Priest Rapids Dam to Rock Island Dam: July 16 at 12:01 a.m. through August 31. Daily limit 6 salmon, no more than 3 sockeye may be retained. Release all adult chinook and coho. Salmon minimum size 12 inches. Rock Island Dam to Wells Dam: July 16 at 12:01 a.m. through October 15. Daily limit 6 salmon, no more than 3 sockeye may be retained. Release all adult chinook and coho. Salmon minimum size 12 inches. Wells Dam to Hwy 173 Bridge at Brewster: July 16 at 12:01 a.m. through August 31. Daily limit 6 salmon, no more than 3 sockeye may be retained. Release all adult chinook and coho. Salmon minimum size 12 inches. Hwy 173 Bridge at Brewster to Chief Joseph Dam: July 16 at 12:01 a.m. through October 15. Daily limit 6 salmon, no more than 3 sockeye may be retained. Release all adult chinook and coho. Salmon minimum size 12 inches. Wenatchee River (mouth to Icicle Road bridge): August 1 through September 30. Daily limit 6 salmon. Release all adult chinook, coho, and sockeye. Salmon minimum size 12 inches. Chelan River (from railroad bridge upstream to Chelan P.U.D. safety barrier below the powerhouse): July 16 at 12:01 a.m. through October 31: Daily limit 4 salmon. Release all adult chinook, coho, and sockeye. Salmon minimum size 12 inches. Okanogan River (from mouth upstream to Hwy. 97 Bridge immediately upstream of mouth): July 16 at 12:01 a.m. through October 15. Daily limit 6 salmon. Release all adult chinook, coho, and sockeye. Salmon minimum size 12 inches. Okanogan River (from Hwy. 97 Bridge immediately upstream of mouth to the second Hwy. 97 Bridge in Oroville): July 16 at 12:01 a.m. through September 15. Daily limit 6 salmon. Release all adult chinook, coho, and sockeye. Salmon minimum size 12 inches. Similkameen River (from mouth upstream to 400 feet below Enloe Dam): July 16 through September 15. Daily limit 6 salmon. Release all adult chinook, coho, and sockeye. Salmon minimum size 12 inches. Reason for action: The summer chinook run was downsized to a total of 44,000, which is 35% below the preseason forecast. This reduction in the chinook run decreased the allowable catch in recreational fisheries above Priest Rapids Dam. Anglers are expected to catch their allocation by July 15, 2018. Megler-Astoria Bridge to Hwy. 395 Bridge at Pasco: Salmon and steelhead, July 7-July 31: Daily limit 6, up to 2 adult salmon or hatchery steelhead or 1 of each may be retained. Release all salmon other than hatchery jack chinook and sockeye. Salmon minimum size 12 inches. Hwy. 395 Bridge at Pasco to Priest Rapids Dam: Salmon, July 7-August 15: Daily limit 6, up to 2 adult salmon may be retained. Release all salmon other than hatchery jack chinook and sockeye. Salmon minimum size 12 inches. The Entiat River salmon season will remain unchanged and as described in the 2018-2019 Sport Fishing Rules Pamphlet. The fall chinook seasons between Priest Rapids Dam and Rock Island Dam will remain unchanged and as described in the 2018-2019 Sport Fishing Rules Pamphlet. Anglers are reminded that the Colville Confederated Tribe will be out capturing chinook for hatchery broodstock with their purse seiner. Starting July 1st, anglers can catch and keep sockeye salmon on the Columbia River, but will be required to release any chinook salmon they intercept downriver from Bonneville Dam. Fishery managers from Washington and Oregon today agreed to modify fishing rules in joint waters of the Columbia, and the Washington Department of Fish and Wildlife (WDFW) followed up by extending the sockeye fishery upstream to Chief Joseph Dam. Before the season got underway, both states agreed to forgo scheduling any sockeye fisheries on the Columbia River due to low projected returns, especially those to the Wenatchee River. However, an updated run forecast now projects that 209,000 sockeye will return this year – up from the 99,000 previously estimated – providing a sufficient number of fish for recreational fishing opportunities throughout the Columbia, said Bill Tweit, a WDFW special assistant. Snake River fisheries remain closed to protect Snake River sockeye listed under the federal Endangered Species Act. While the preseason forecast for summer chinook has not yet been updated, Tweit said current data indicate that chinook returns are tracking about 20 percent below the initial projection of 67,300 adult fish. That prompted fishery managers to close the lower Columbia River summer chinook season four days earlier than previously scheduled. “Based on the low catches to date above Bonneville, we decided to close the chinook fishery in the lower river but leave it open upriver from the dam,” Tweit said. Starting July 1, anglers fishing from the Megler-Astoria Bridge to Bonneville Dam on the lower Columbia River can still catch a total of six salmon/steelhead a day. 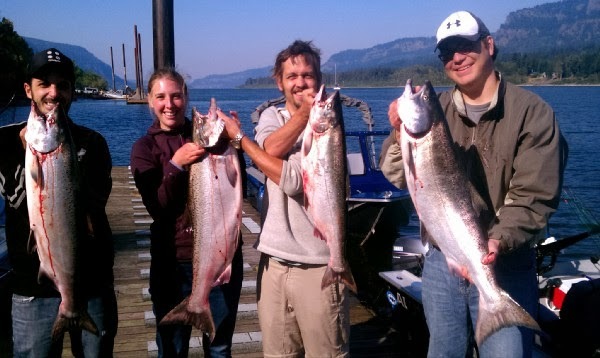 The daily limit for adult fish in those waters is two adult sockeye salmon or hatchery adult steelhead, or one of each. 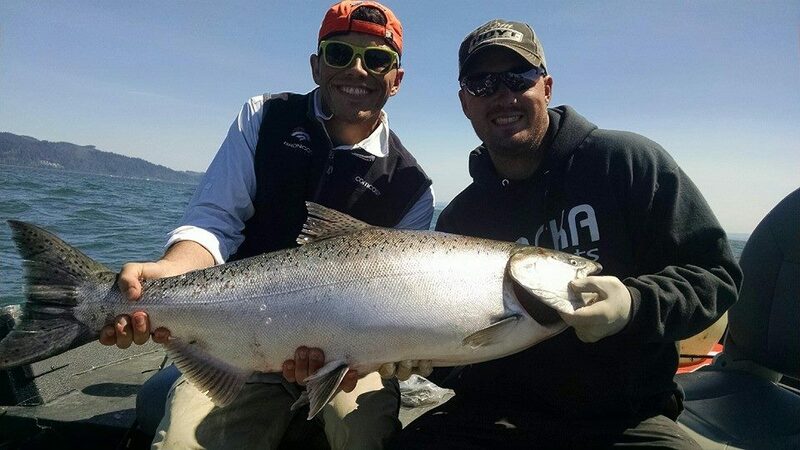 Anglers can round out their daily six-fish limit with hatchery jack chinook salmon. 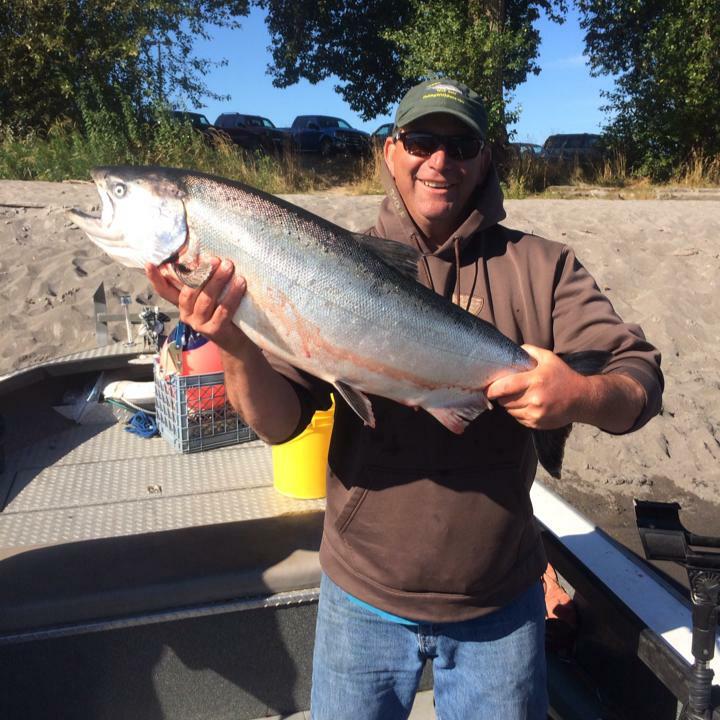 CLACKAMAS, Ore. – Oregon and Washington fishery managers have announced the 2018 summer and fall fisheries for the Columbia River. This year, anglers will see changes to daily bag limits and fewer fishing days for Chinook salmon due to lower harvest guidelines resulting from below-average salmon and steelhead forecasts. 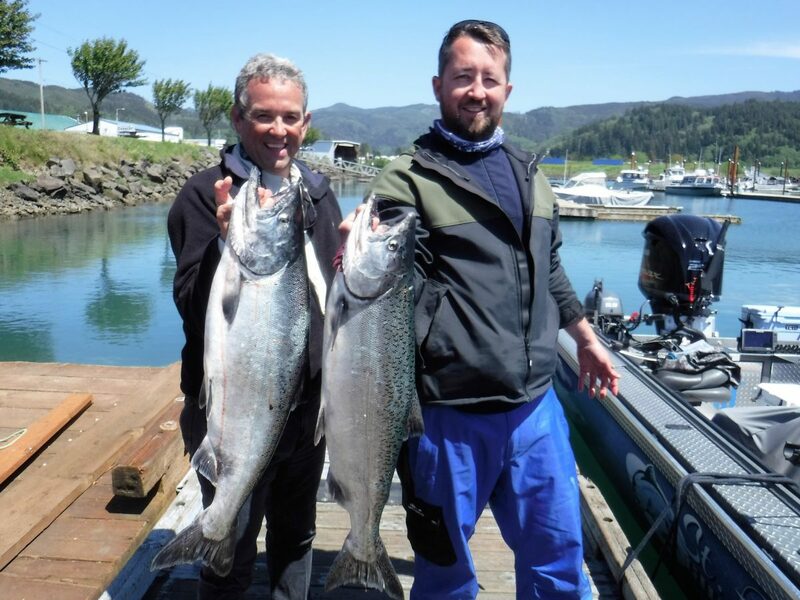 For the summer season, adult Chinook retention will be limited to June 22 through July 4 from the Astoria-Megler Bridge upstream to Bonneville Dam. From Bonneville Dam upstream to the Oregon/Washington border, the summer Chinook season is scheduled for June 16 through July 31. The daily adult bag limit for both areas is two hatchery salmonids, which may include up to two Chinook when retention is allowed. Due to the projected low escapement, sockeye retention will be prohibited this year. The fall seasons will start Aug. 1 based on a projected return of 375,500 fall Chinook, down from 476,100 last year. This year’s forecast includes 205,100 upriver bright Chinook, compared to a return of 296,500 in 2017. Based on this lower forecast, fisheries will be managed for a harvest rate of 8.25 percent, down from 15 percent in the recent years, resulting in shorter fall Chinook retention seasons. Though improved from last year’s return, predicted steelhead returns remain below average. To reduce harvest, anglers will be limited to one steelhead per day from Aug. 1 to the end of the year. For more information about upcoming Columbia River seasons, including regulation updates, visit ODFW’s online fishing reports at www.myodfw.com. Retention of adult hatchery Chinook (24-inches or longer) allowed June 22 – July 4 (13 days). 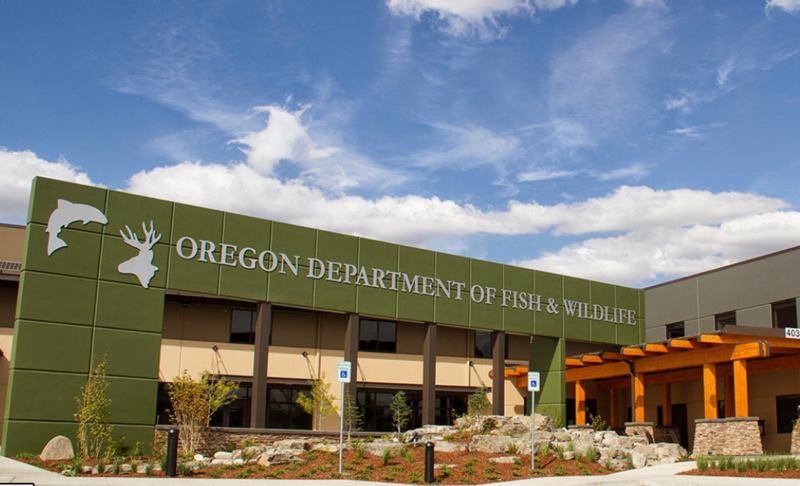 Retention of hatchery Chinook jacks and hatchery steelhead allowed June 16 – July 31. The daily adult bag limit is two hatchery salmonids. Sockeye retention prohibited. Retention of adult hatchery Chinook (24-inches or longer) allowed June 16 – July 31. Aug. 1 – Dec. 31: Retention of adult hatchery coho (16-inches or longer) and hatchery steelhead allowed. Daily bag limits by time period are described below. All other permanent rules apply. Aug. 1 – Aug. 24: Retention of adult Chinook (24-inches or longer) allowed. The daily bag limit is one adult salmonid (Chinook, hatchery coho, or hatchery steelhead only). Aug. 25 – Sept. 30: Retention of Chinook prohibited. The daily bag limit is two adult hatchery salmonids (coho and steelhead only) and may include up to one hatchery steelhead. Oct. 1 – Dec. 31: Retention of Chinook prohibited. The daily adult bag limit is two hatchery salmonids (coho and steelhead only) and may include up to one hatchery steelhead. Hatchery coho jacks may be retained. Aug. 1 – Dec. 31: Retention of adult hatchery coho (longer than 20-inches), and hatchery steelhead allowed. Hatchery coho jacks may be retained. Daily adult bag limits by time period are described below. Each legal angler aboard a vessel may continue to deploy angling gear until the daily adult salmonid bag limit for all anglers aboard has been achieved. All other permanent rules apply. Aug. 1 – Sept. 2: Retention of adult (24-inches or longer) and jack Chinook allowed. The daily adult bag limit is one salmonid (Chinook, hatchery coho, and hatchery steelhead only). Sept. 3 – Dec. 31: Retention of Chinook (adults and jacks) prohibited. The daily adult bag limit is two hatchery salmonids (coho and steelhead only) and may include up to one hatchery steelhead. Aug. 1 – Dec. 31: Retention of adult hatchery coho (longer than 20-inches) and hatchery steelhead allowed. Hatchery coho jacks may be retained. Daily adult bag limits by time period are described below. Each legal angler aboard a vessel may continue to deploy angling gear until the daily adult salmonid bag limit for all anglers aboard has been achieved. All other permanent rules apply. Aug. 1 – Sept. 14: Retention of adult (24-inches or longer) and jack Chinook allowed. The daily adult bag limit is one salmonid (Chinook, hatchery coho, and hatchery steelhead only). Sept. 15 – Dec. 31: Retention of Chinook (adults and jacks) prohibited. The daily adult bag limit is two hatchery salmonids (coho and steelhead only) and may include up to one hatchery steelhead. Aug. 1 – Dec. 31: Retention of adult coho (longer than 20-inches) and hatchery steelhead allowed. Coho jacks may be retained. All coho (adults and jacks) retained downstream of the Hood River Bridge must be hatchery fish. Each legal angler aboard a vessel may continue to deploy angling gear until the daily adult salmonid bag limit for all anglers aboard has been achieved. All other permanent rules apply. Effective Aug. 1, retention of adult Chinook (24-inches or longer) and Chinook jacks allowed but will be managed in-season based on actual catches and the upriver bright fall Chinook run-size.The daily adult bag limit is two salmonids, and may include up to one Chinook and up to one hatchery steelhead. OLYMPIA – Anglers will have an opportunity to fish for spring chinook salmon in the lower Columbia River this Saturday (April 14) for one day only under an agreement reached Wednesday by fishery managers from Washington and Oregon. Fishing regulations will be the same as those in effect before the initial chinook fishery below Bonneville Dam closed April 7 for a fishery assessment. Under those rules, anglers can retain one adult hatchery chinook salmon as part of a daily limit of two adult fish that can also include hatchery coho salmon and hatchery steelhead. 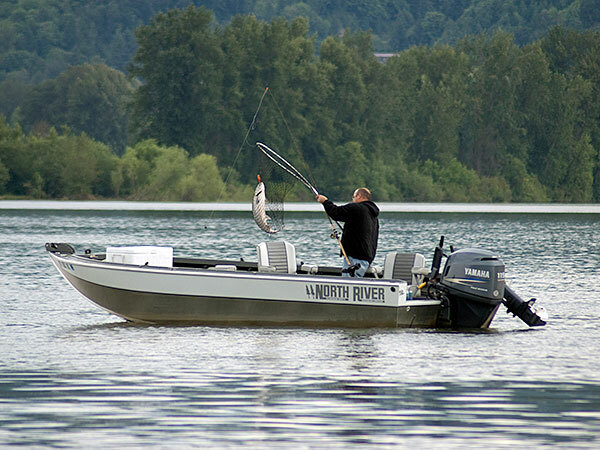 Boat anglers can fish from Buoy 10 up to Beacon Rock, while bank anglers can fish all the way up to Bonneville Dam. 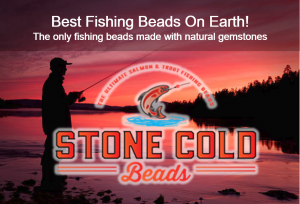 All anglers fishing the Columbia River are required to use barbless hooks, and must release any salmon or steelhead not visibly marked as hatchery fish by a clipped adipose fin. Bill Tweit, a fishery manager at the Washington Department of Fish and Wildlife (WDFW), said the one-day fishery this Saturday is designed in part as a “make-up day” for the last Saturday of the initial opener, when stormy weather kept many anglers off the water. Tweit said fishery managers from both states are taking a cautious approach to extending the fishery given the low number of spring chinook observed passing up the fish ladders to date at Bonneville Dam. According to the preseason forecast, approximately 166,700 upriver spring chinook salmon are expected to return to the Columbia River this year. Based on that forecast, fishery managers set an initial catch guideline of 7,157 upriver chinook for the sport fishery below the dam, but so far anglers have caught only about half that many fish. 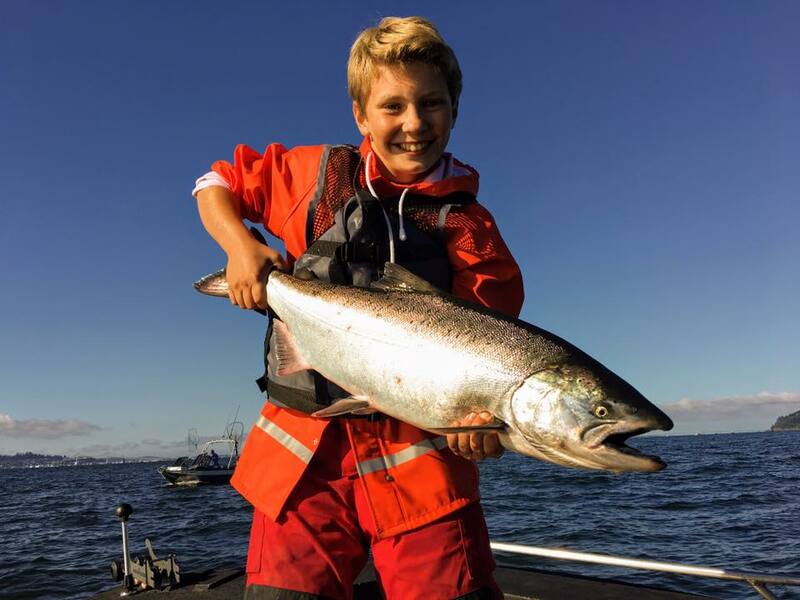 Anglers age 15 and older are required to have a valid 2018-19 fishing license to fish in Washington state waters. A Columbia River Salmon and Steelhead Endorsement (https://wdfw.wa.gov/licensing/crss_endorsement/) is also required to fish for salmon or steelhead on the Columbia River or its tributaries. 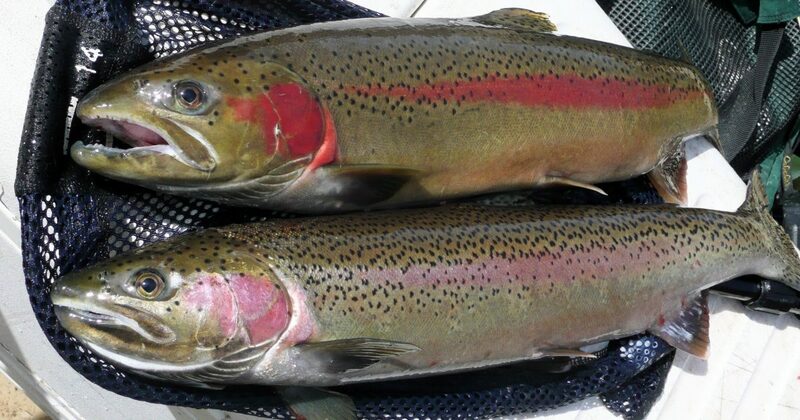 Reason for action: The 2017-18 Hanford Reach steelhead fishery daily limit was reduced to one fish to ensure that the Ringold Springs Hatchery would meet the 2018 broodstock collection objective. That objective was achieved March 26, so the daily limit can be increased to two hatchery steelhead for the remainder of the season. Other Information: The boat (and bank) fishery from the Hwy. 395 Bridge to the wooden powerline towers closes March 31. The “bank only” fishery adjacent to the Ringold Springs Hatchery and described on Page 54 in the 2017-18 Sport Fishing Rules pamphlet continues through April 15.